Scientific research requires both innovation and attention to detail, clever breakthroughs and routine procedures. 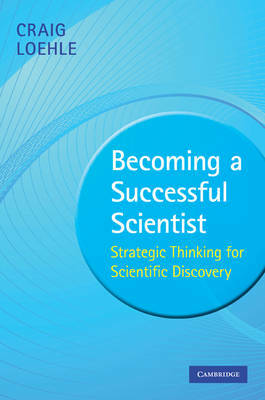 This indispensable guide gives students and researchers across all scientific disciplines practical advice on how to succeed. All types of scientific careers are discussed, from those in industry and academia to consulting, with emphasis on how scientists spend their time and the skills that are needed to be productive. Strategic thinking, creativity and problem-solving, the central keys to success in research, are all explored. The reader is shown how to enhance the creative process in science, how one goes about making discoveries, putting together the solution to a complex problem and then testing the solution obtained. The social dimension of science is also discussed from the development and execution of a scientific research program to publishing papers, as well as issues of ethics and science policy.